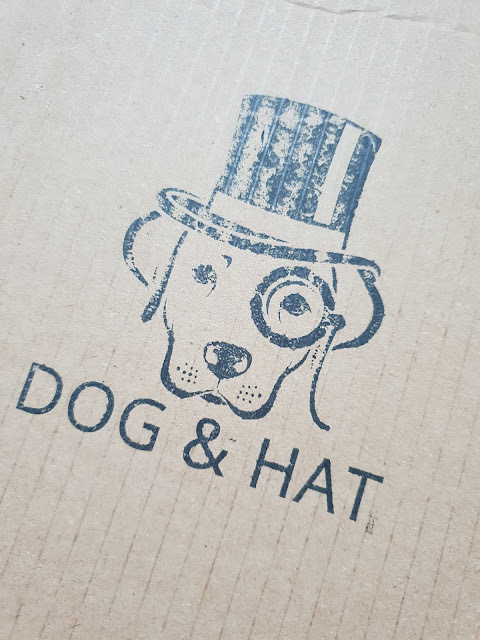 Dog & Hat is an independent UK-based business offering coffee subscription boxes, filled with delicious artisan coffee. Their ethos is to allow you to discover coffee your way, and the variety of blends and flavours is the perfect way to set you on that journey of discovery. I was kindly sent a box for the purposes of this post, and I have to say that I was very impressed with the box. From speedy delivery right down to good quality coffee, Dog & Hat is definitely a service that I wouldn't hesitate to use again. The box I received contained two different types of coffee, both of which were great to try. As I opened the box, I was immediately met by the most incredible scent of coffee drifting up to greet me - if that doesn't get you in the mood for a cup of coffee, then I don't know what will! The first coffee in my box was the Colombia blend from Neighbourhood Coffee, based in Liverpool. This coffee featured notes of blackberry, apple and caramel - the perfect accompaniment to a crisp autumnal morning. The second coffee was the Uganda blend from the Manumit Coffee Roasters, based in Cardiff. Despite being quite strong coffee, this blend also carries softer notes of lime, raspberry and milk chocolate, all of which come together to give you a drink which is honestly sublime. 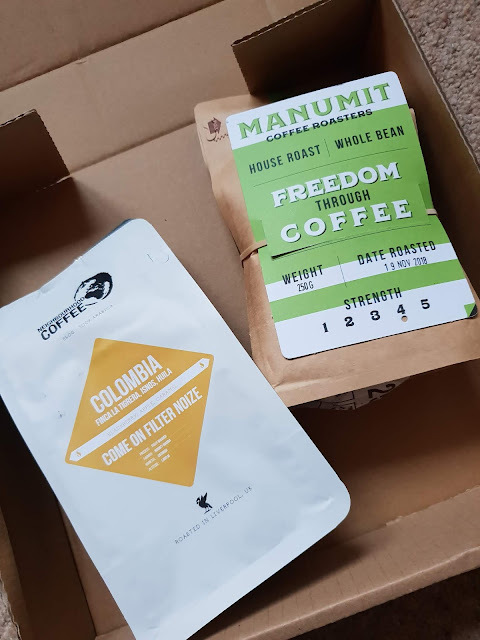 I'd also advise you to have a read of the story behind Manumit Coffee Roasters, as it's an incredibly inspiring tale which brings a whole new dimension to the coffee they produce. One of the things I like the most about Dog & Hat is that they work directly with a variety of small businesses and independent roasters to bring different tastes to customers across the country. It's always nice to see small businesses supporting one another, and I love that this service is providing an avenue for people to discover smaller roasters. If you are still on the lookout for the perfect gift this Christmas, why not sign that special someone up for a coffee subscription with Dog & Hat? A subscription box is a gift that keeps on giving, and what better gift could there possibly be than a cup of their favourite coffee? Are you a fan of coffee? Would you consider signing up to a coffee subscription box? Let me know in the comments below!